How to prevent from being fooled while choosing organic t-shirts! It is not a secret now that the demand for organic cotton clothing is rising quickly. People are willing to buy more natural clothing for themselves to prevent from harmful chemicals that are used in several textile processes. However, there are also some clever people who are trying to make more money on using this weakness of people. How will you trust that the t-shirt you purchased is really organic? 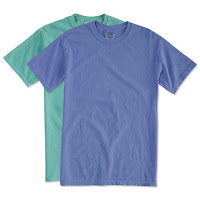 Always buy your blank t shirts wholesale cheap from reputable wholesale suppliers. There are 3 common usages of organic cotton. 1. You use the normal/conventional cotton and claim that it was organic. If people believe you then you will make 30 percent more profit with the exact same garments. So please carefully check the labels of the clothing before you buy and also try to buy from popular name brands like Jerzees, GildamHanes, Fruit, or Champion. 2. You use the organic cotton. Made the fabric from it and dye it like you do with the normal cotton. In the end, you will have a harmful and chemical fabric which is not organic but "made from organic cotton". but this is of course healthier. In the end, your organic fabric will not be harmful! In that case, you can also say the term "organic t-shirt" easily. Confusing right? Try to stay away from "made in India" and "made in China" organic cotton products for now. 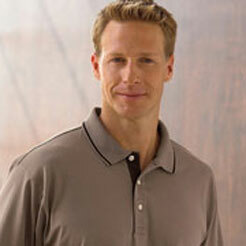 Wholesale plain shirts from printing suppliers are offering much better quality and trusted business at the moment.